Beautiful Bullion Featuring "Pawn Star" Rick Harrison! In Las Vegas, sitting between Downtown and the Strip on South Las Vegas Boulevard, you'll find the appropriately-named World Famous Gold and Silver Pawn Shop. If you're a fan of the History hit "Pawn Stars," you know exactly which store we're talking about! Every day, sellers are looking to strike it rich, treasure hunters are searching for their next big score and tourists are checking out the goods while hoping to catch a glimpse of The Old Man, Corey or Chumlee. And it all happens under the watch of chief "Pawn Star" Rick Harrison. Of course, when you run one of the most recognizable pawn shops on the globe, you encounter every type of item under the sun -- from true crime relics to tattoo machines, antique cars to modern collectibles. But, as an expert numismatist, rarely anything captures Rick Harrison's attention more than coins! So, it was only natural that Rick was one of the featured guests at the American Numismatic Association's 2017 World's Fair of Money in Denver, Colorado. 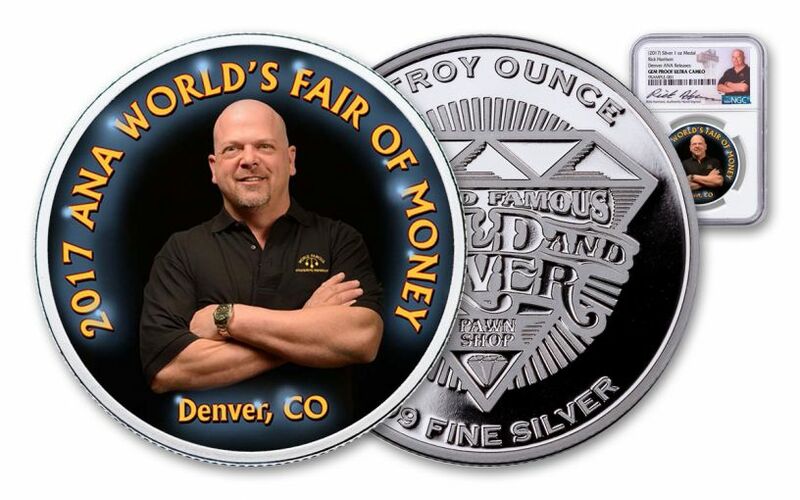 And now, to commemorate his appearance, you can get your very own Rick Harrison World Famous Gold and Silver Pawn Shop Silver Proof! 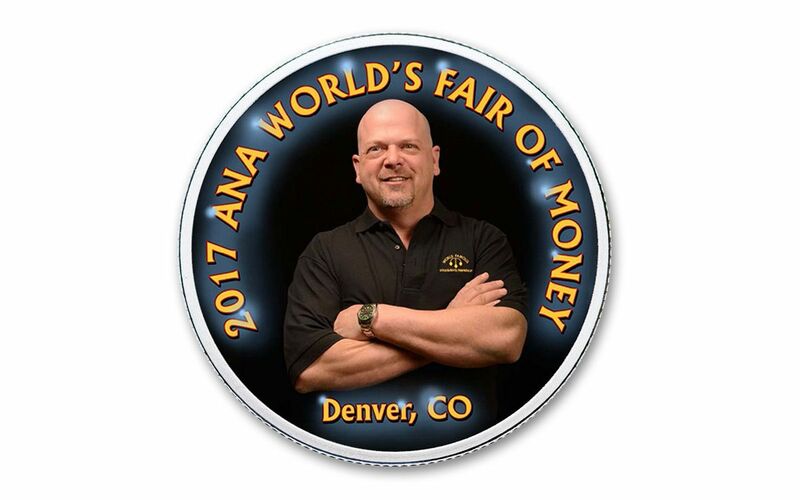 A "WORLD FAMOUS" DESIGN!-- You can't miss this proof's centerpiece -- a full-color image of Rick Harrison, surrounded by the inscriptions "2017 ANA World's Fair of Money and "Denver, CO." Flip it over to find the gorgeously engraved "World Famous Gold and Silver Pawn Shop" logo! 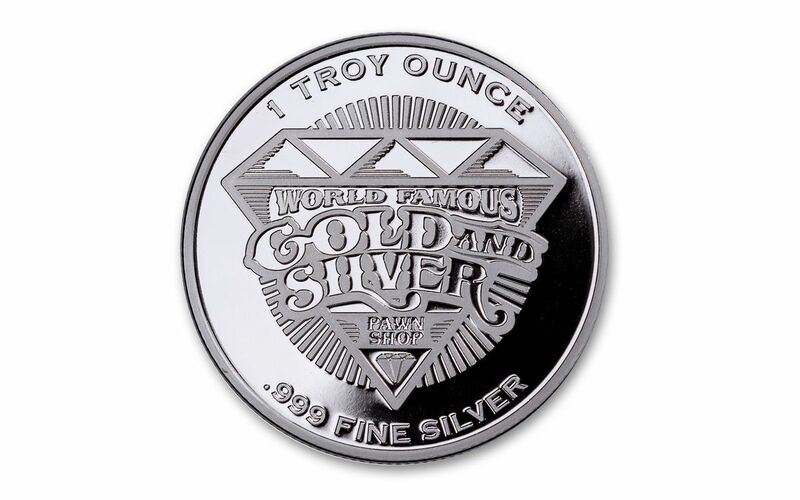 PROOF-STRUCK IN 99.9% FINE SILVER-- Using hand-selected planchets, polished dies and multiple strikes, each proof is struck in one ounce of 99.9% fine silver, producing sharp, frosted details that float over mirror-like fields. 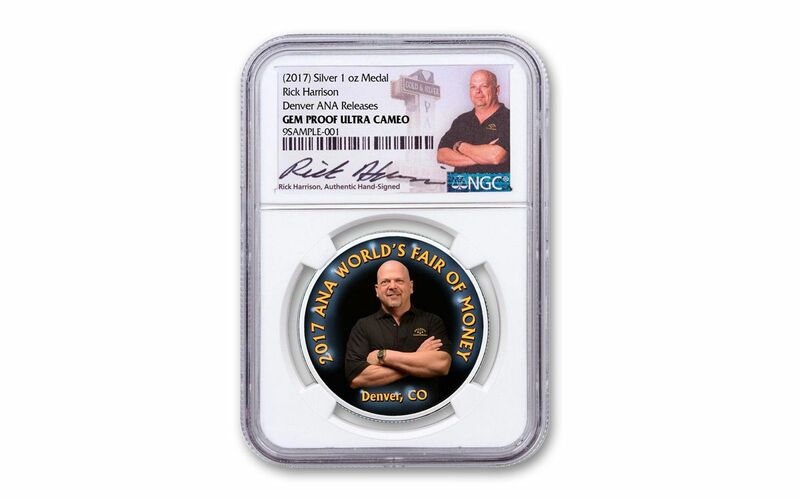 CERTIFIED GEM PROOF-- Your 2017 Rick Harrison Proof will come graded Gem Proof by Numismatic Guaranty Corporation (NGC), certifying it as the product of a superb strike that's firmly among the elite of the run! HAND-SIGNED BY RICK HARRISON!-- Now comes the best part! Your proof will come signed by Rick Harrison on a full-color label featuring both Rick and his shop's legendary sign. 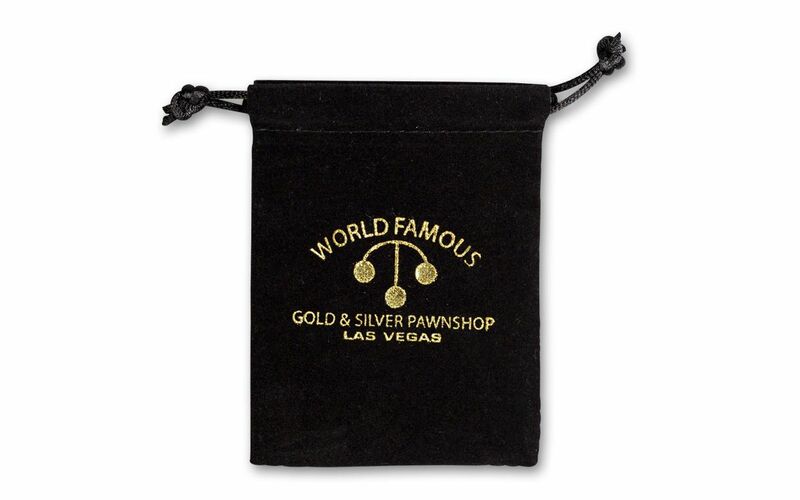 You'll also receive an individually numbered certificate of authenticity, featuring images of Rick, the "World Famous Gold and Silver Pawn Shop" logo and detailed information about the proof. Not only that, but your proof will also come inside its own GSPS-branded velvet bag! A LIMITED MINTAGE! -- Only 999 of these proofs were minted and released at the 2017 Denver ANA show, making them instantly collectible! If you or someone you know is a huge "Pawn Stars" fan, this is one incredible find! Perfect for your own collection, as a gift or as a great way to add some Las Vegas color to your silver stack, this Rick Harrison Proof is too good to pass up -- but only if you make the deal and order yours now!